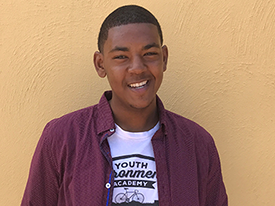 Nizam Porter was recently promoted to Youth Program Assistant at the Ecology Center. A Berkeley native, Nizam is passionate about building a strong, healthy, and conscious community. Here’s his reflection and photos from the Shoreline Cleanup he joined for Plastic-Free July. Get inspired and check out our next cleanup, September 11 at the South Berkeley Farmers’ Market. Plastic-Free July is a time for people all over the world, and the Berkeley community to try to reduce plastic. One of the events that is available is the Shoreline Cleanup, which I went to on a recent Saturday in July. I was in shock, disgusted, and frightened by what I saw. 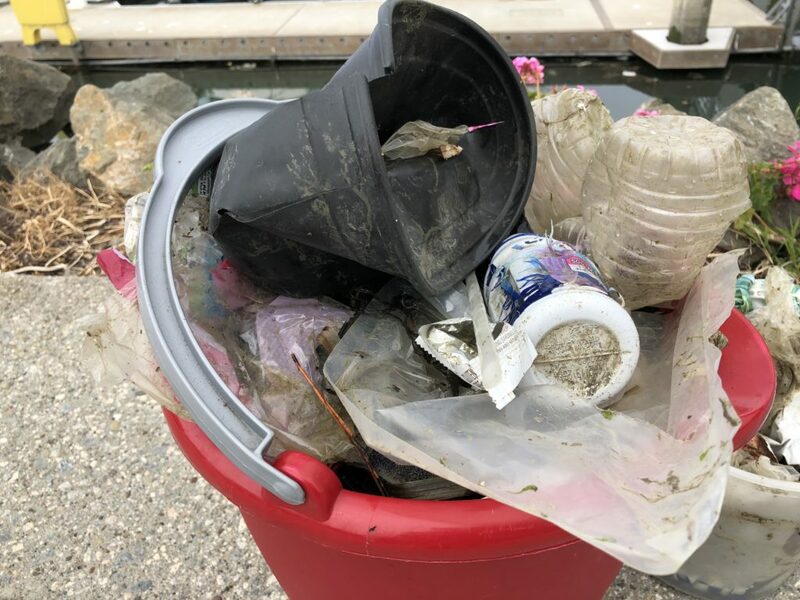 I was in shock because it takes one Saturday a month to actually do something about the plastic pollution we see every day on the Bay’s shoreline. 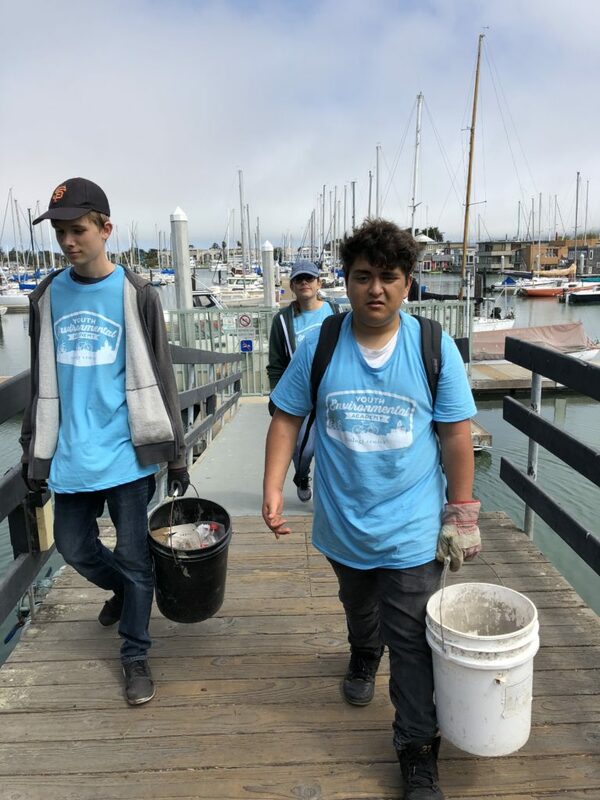 If the Ecology Center’s youth cohort and the Shoreline Cleanup volunteers had not cleaned the shoreline that day, 2,000+ pieces of plastic and trash would have remained, polluting our Bay while killing life as I write this. I was disgusted that the ocean had been collecting more trash over time. I feel that more should be done to fully keep the shoreline clean. I was frightened of the thought, “What if I and others had never came today? Would all of this trash had still been here polluting the Bay?” Keeping the world healthy and safe for all living creatures motivates me to do shoreline cleanups every year. You might be wondering, “Why should I try to reduce plastics?” In addition to the litter, plastic poisons us! Sea life in our oceans, such as fish and other sea animals, eat microplastics and consume their poisons. Plastics and pollutants such as PCBs (Polychlorinated biphenyl) and DDT (dichloro-diphenyl-trichloro), which can cause cancer and birth defects, are ingested by fish and other marine life and passed up the food chain. Even we are affected by this since humans eat marine life that has been contaminated! There’s other types of toxic plastic, like BPA and phthalates that we are exposed to via non-marine food and everyday products, too. We can reduce marine life and human life from being affected by taking action. Joining the Shoreline cleanup to reduce plastic and trash pollution is one path. If the Berkeley community and other communities do not engage with reducing plastic, nothing will be stopping plastic from infecting our world. Plastic will not leave by itself, literally. Plastic is a strong, long-lasting material that lasts forever, yet 33% of it is used once and then abandoned. The material cannot biodegrade; it breaks down into even smaller pieces and spreads like a disease. Scary stuff right? This is what Berkeley and other cities are fighting against. I know that fighting against plastic pollution can be overwhelming. Some ways to fight this scary reality in our world is by remembering the “Three R’s”: Reduce, Reuse, and Recycle. Reducing basically means try to stay away from plastic, for example choosing a big block of cheese instead of a dozen single snack cheeses is a way to reduce the total amount of plastic you use. Another way to reduce plastic is to stay away from buying disposable water bottles. Buy one that you can reuse and refill. Lastly, recycle. Make sure if you do need to use a disposable water bottle, be aware of where you recycle it to keep recycling clean. You can join with the Ecology Center to fight against single-use plastics that are in our daily lives: check out our fact sheet, Strategies to Get Plastic Out of Your Life, or join the next shoreline cleanup. This entry was posted in Blog, Featured and tagged plastic, Plastic-Free July, Youth Environmental Academy, youth reflection, Zero Waste by Ecology Center. Bookmark the permalink.